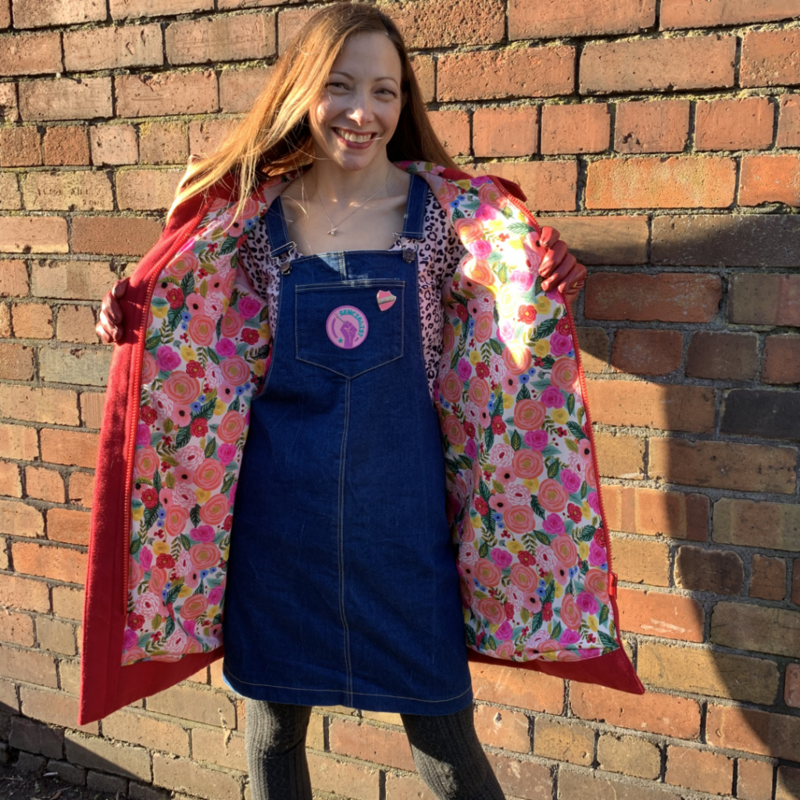 We think the Eden coat is one of the most exciting pattern releases this year! 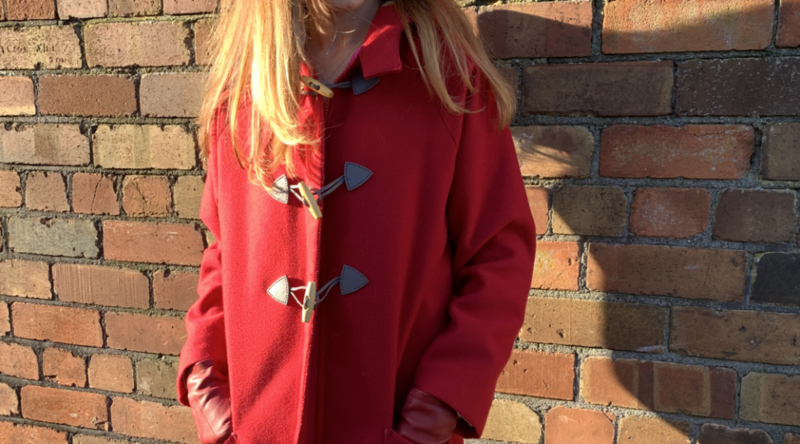 It is the perfect duffle coat and there are so many options to make it your own. 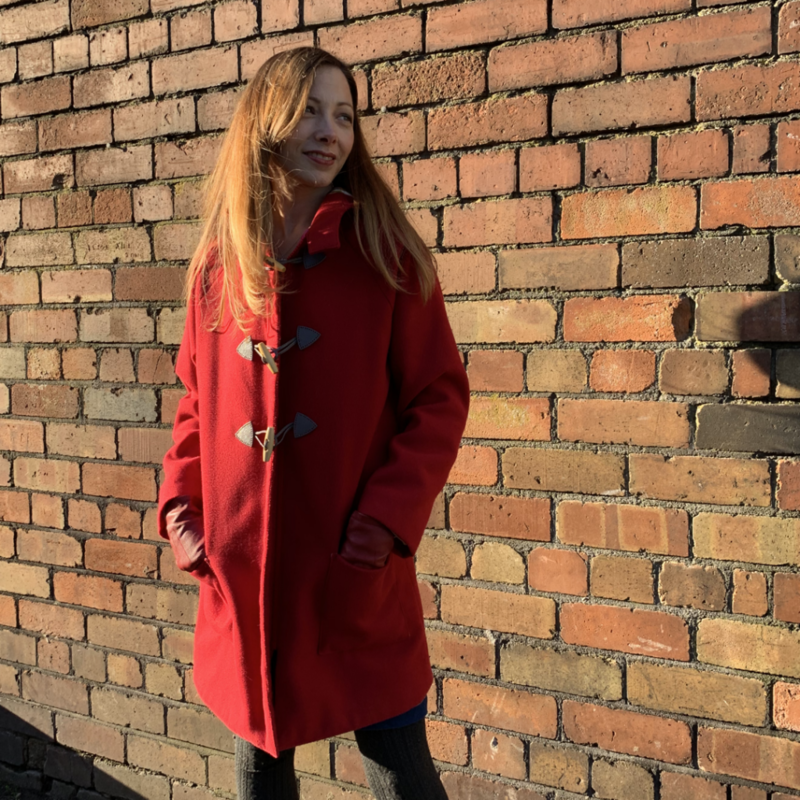 You can either choose to make yours a traditional wool duffle coat, or more of a lighter weight rain mac and there are two different length options, and optional pocket details and storm flaps. You can save 10% off all coating fabrics and toggles using the code RETURNOFTHEMAC until Sunday 10th March 2019 (midnight GMT). This burnt orange coating is such a stunning colour. 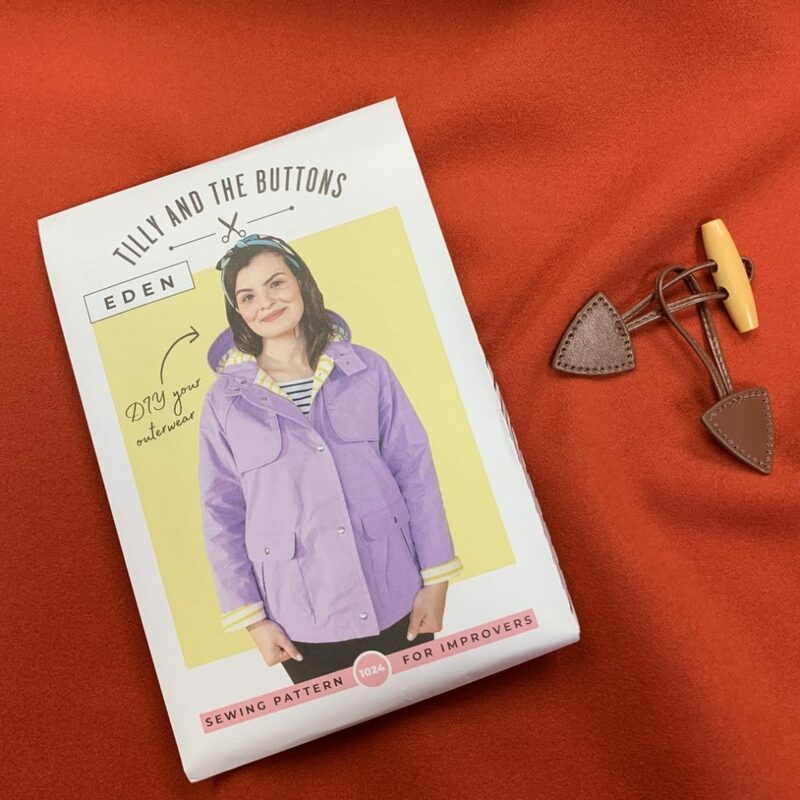 It works perfectly with our Brown Toggle fasteners. This fabric is what’s known as a vegan wool and has the softest feel and a lovely medium weight. 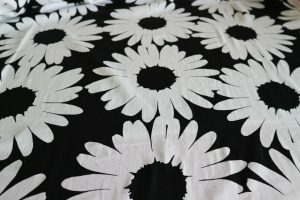 You could line it with one of our ex-designer linings or any of our viscoses. Similar to the Burnt Orange, the Navy colourway would make a really classic duffle coat. You could line it with our mustard ex-designer lining for a real pop of colour! This red washable wool would make a very cheery version. I love it so much, I used this fabric to make my test version of the Eden pattern! 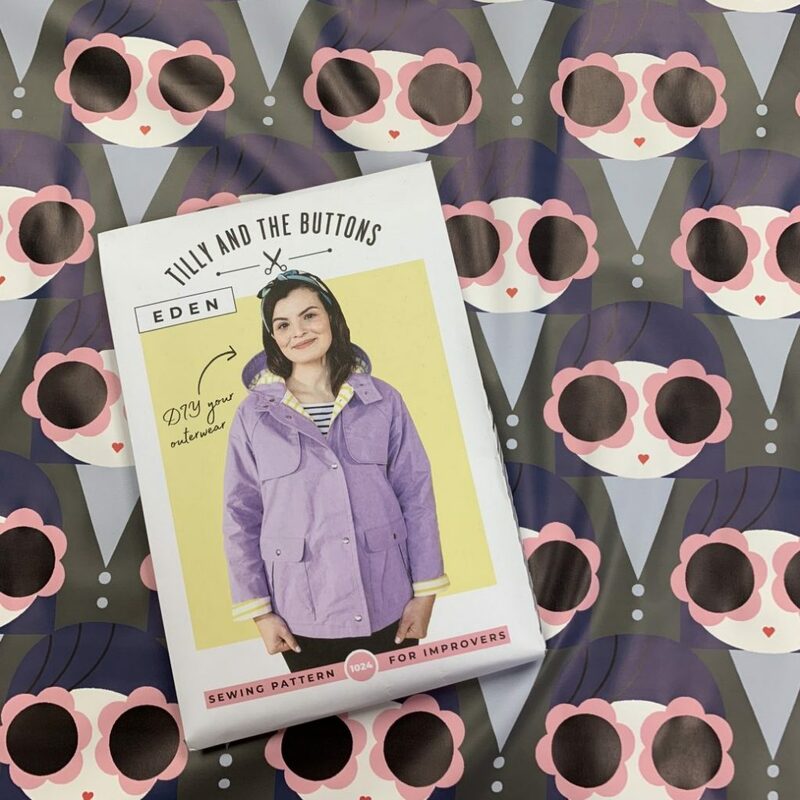 You could even make your Eden from one of our Teddy Bear coat fabrics for a super cute style! 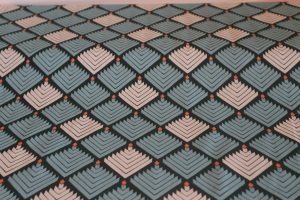 We love the sixties styling of this PVC waterproof raincoat fabric. 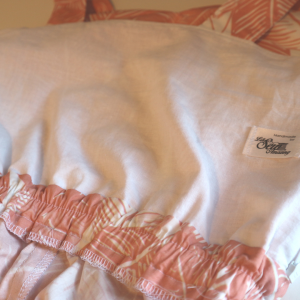 It is easy to sew (use a fairly fine needle) and it can even be pressed on a low heat, using a pressing cloth. There are several different colours and styles so you can choose your favourite! 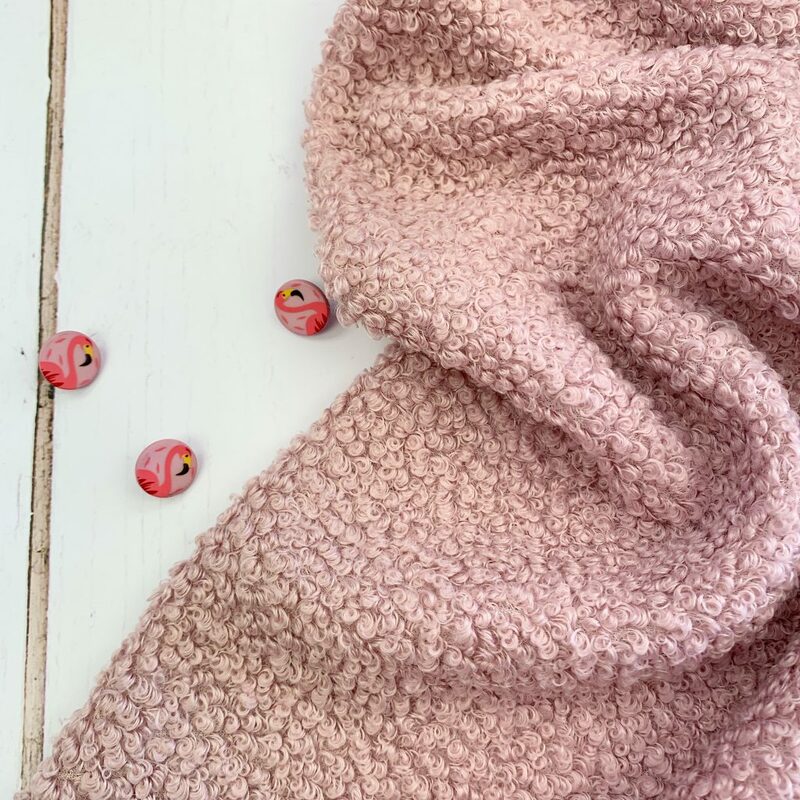 If patterns aren’t your thing, we have the same fabric in three plain colours – bright red, dusky pink and mustard yellow. It is a fab pattern to really get your teeth into and we can’t wait to see your versions popping up on our feed soon! 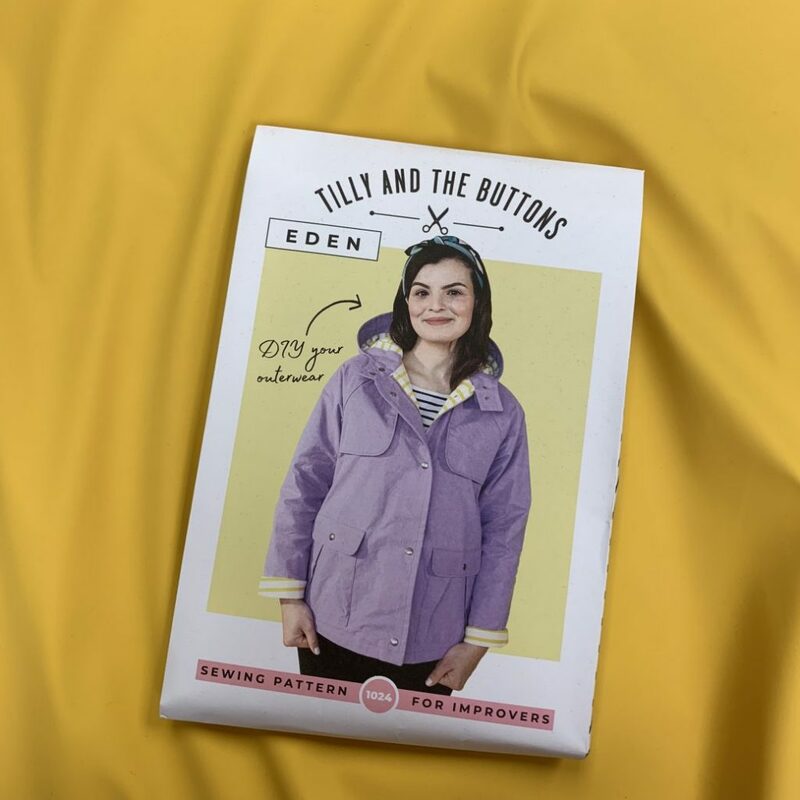 I was lucky enough to be a tester for the Tilly and the Buttons Eden coat so I got to see it in all its glory late last year. I chose to make the wool duffle version as I had an old mustard RTW one that was on its last legs so needed replacing. I really enjoyed the process of choosing the fabric and lining for the coat. I decided I wanted to go all out Little Red Riding Hood so I chose this cherry red washable wool coating and then used the Rifle Paper Co Juliet Rose Rayon as the main lining (sold out unfortunately), with some of our pink ex-designer lining for the sleeves (it always helps to have a slippy fabric for sleeves, to help get them on and off easily). I made the longer version for more coverage and I chose to use a long open ended zip and Prym toggles to fasten it. 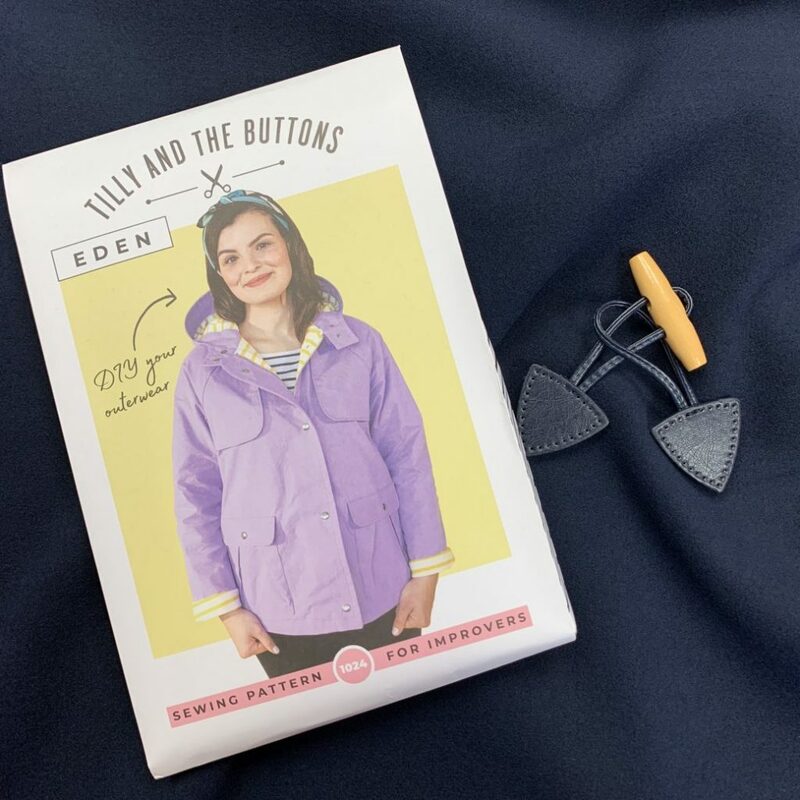 The construction of the coat is pretty straightforward, and as usual, Tilly walks you through the instructions step by step. I found the coating fabric really easy to work with. I would advise you use a tailor’s clapper when working with wool. Or failing that, a small piece of pine wood that you can use to take the steam out of the pressed seam and ensure a crisp finish. I would also advise you use a pressing cloth to make sure you don’t end up with any shiny patches from the iron. 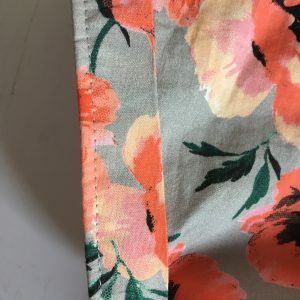 I lined my pockets, using the rayon, this was slightly frustrating as I had to unpick it as I could still see some of the lining peeking out. I chose not to add the pocket flaps as I preferred the look without it. I have worn my Eden non-stop since I made it. 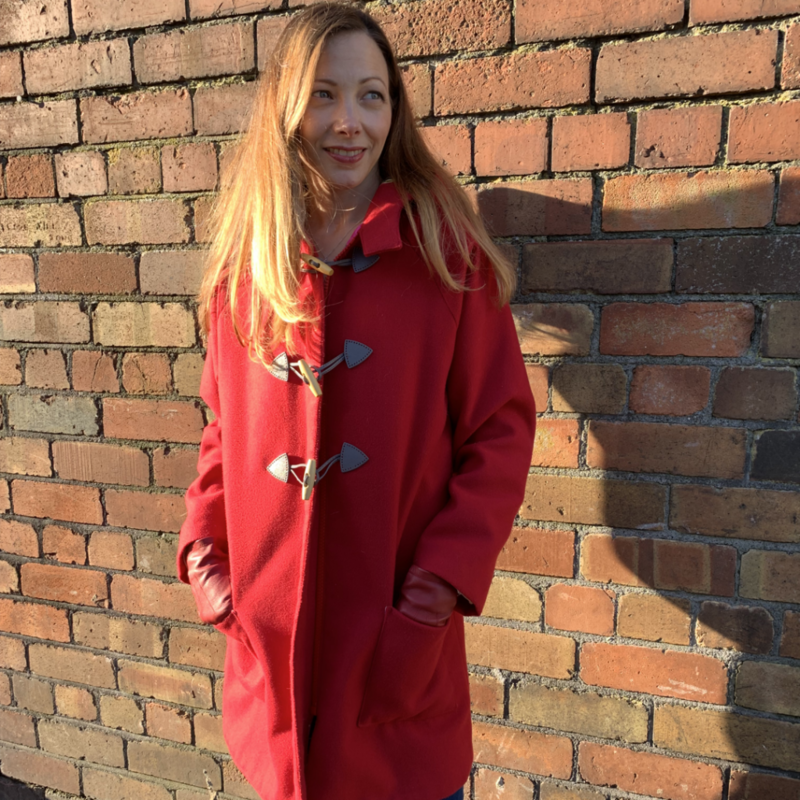 It is such a great winter coat – not too hot but not too cold and the hood has been a life/hair saver in the rain! If you are feeling like you would like to make the leap into coat making, then I would highly recommend this pattern. 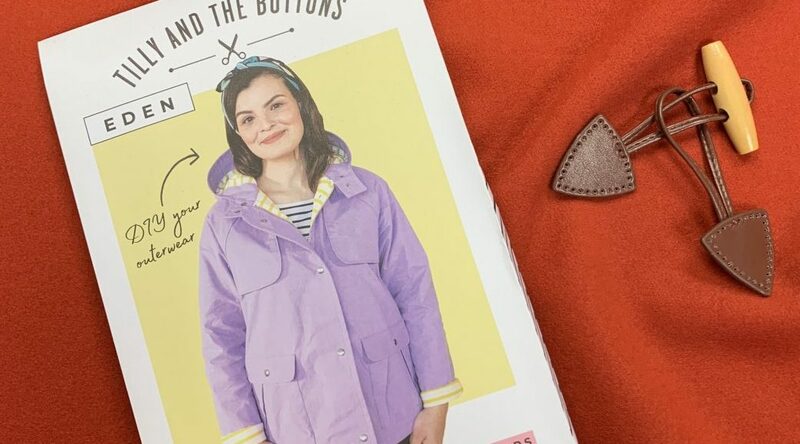 It’s cute, stylish and practical and who doesn’t want to look like Paddington?! 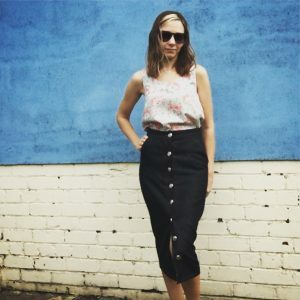 The latest skirt pattern release from Tilly and the Buttons is the perfect addition to your Autumn/Winter wardrobe. 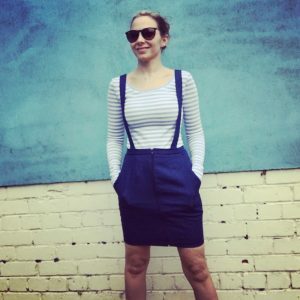 The Ness skirt is a classic fly front skirt in either a mini or below the knee length. 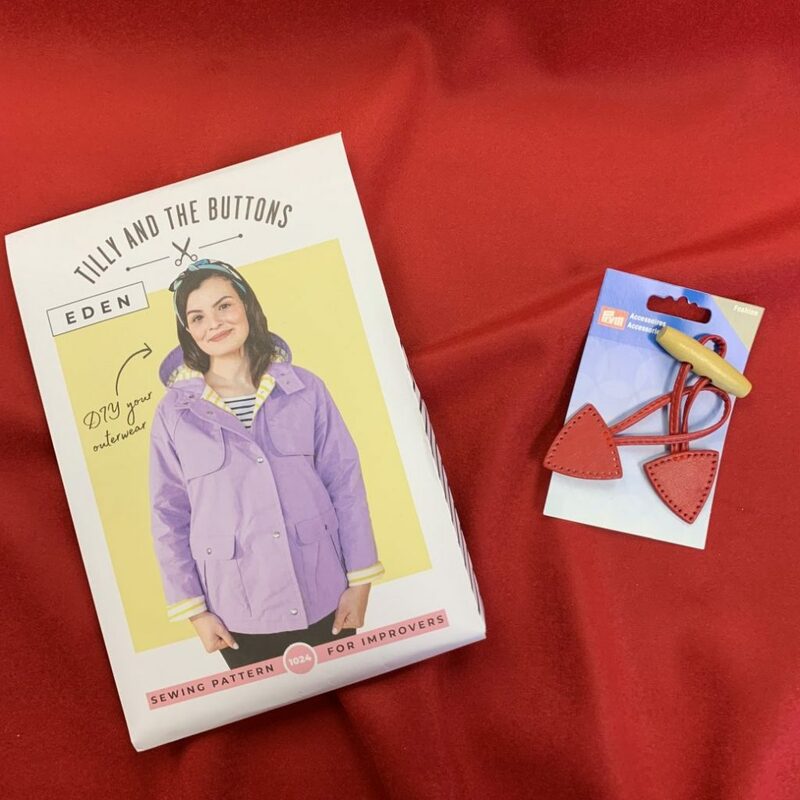 It is aimed at Improvers – ie, anyone who wants to up their sewing game a little. You will practice top stitching, a fly front and mock felled seams. 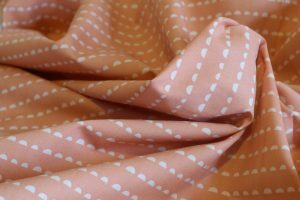 The Ness really needs a structured fabric to work well, so I have put together a list of my fabric suggestions for you. 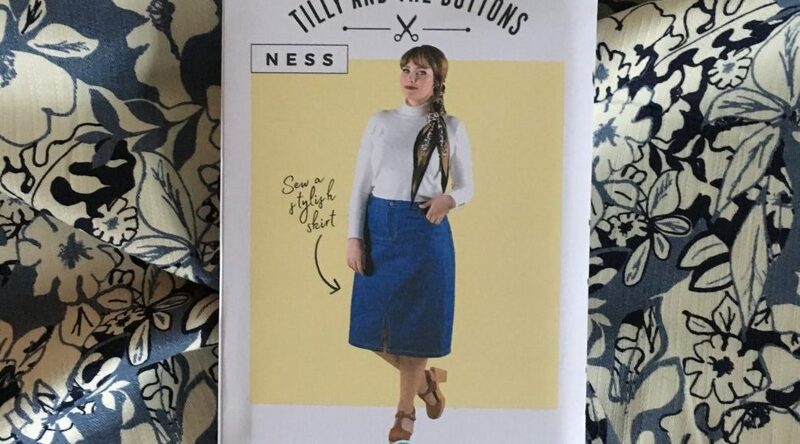 I was very honoured to pattern test the Ness skirt and my first thought was that it would be perfect in a chunky corduroy. 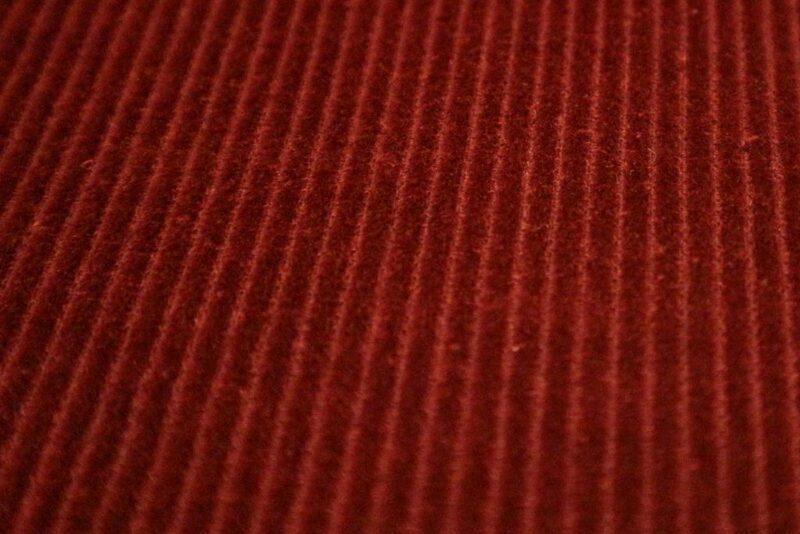 I made my test version out of our rich burgundy corduroy and I absolutely love it! Purple fans will love this beautifully soft corduroy. Perfect for Autumn, our bottle green chunky cord would make a fab skirt. 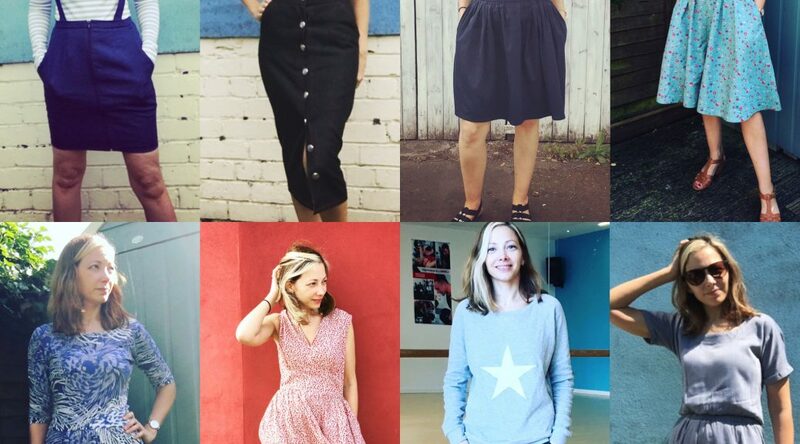 What better than a classic denim skirt for your handmade wardrobe? 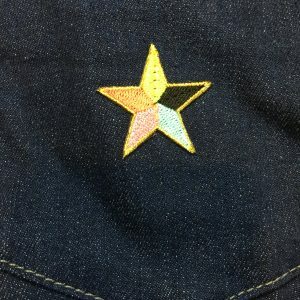 We have some beautiful deep indigo denim that would be perfect for the Ness. 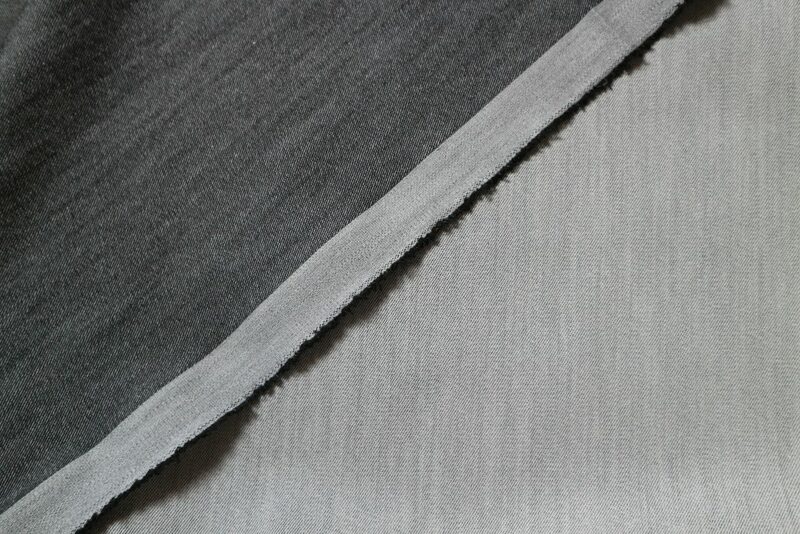 Or why not try our reversible grey/charcoal denim? The Ness would also work well in a structured stretch cotton – the ones below are the perfect weight for this skirt. Jessie stretch cotton drill has a lovely slub texture and would make a really interesting skirt for those not a fan of plain denims! 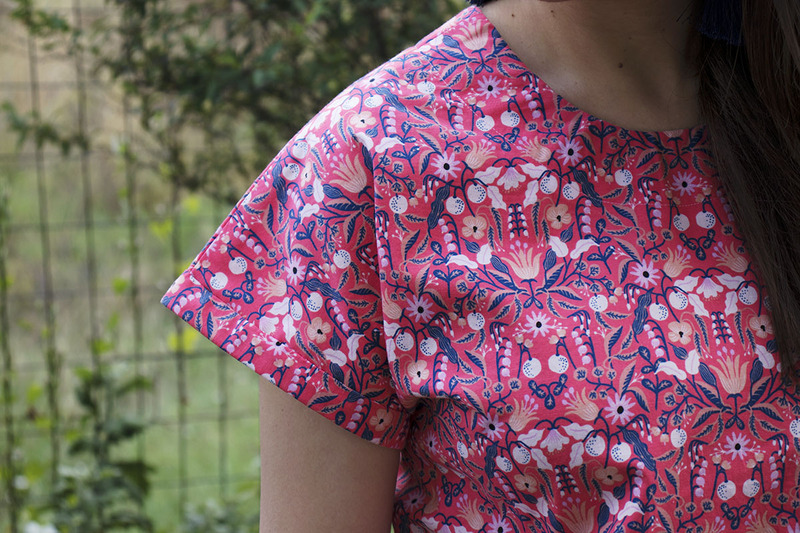 Samantha stretch cotton has bold vibrant blooms. Mustard fans will love this Ochre stretch cotton sateen. I love this stretch cotton cheetah print and think it would make a super chic Ness skirt – especially when worn with black tights and a black Freya top! 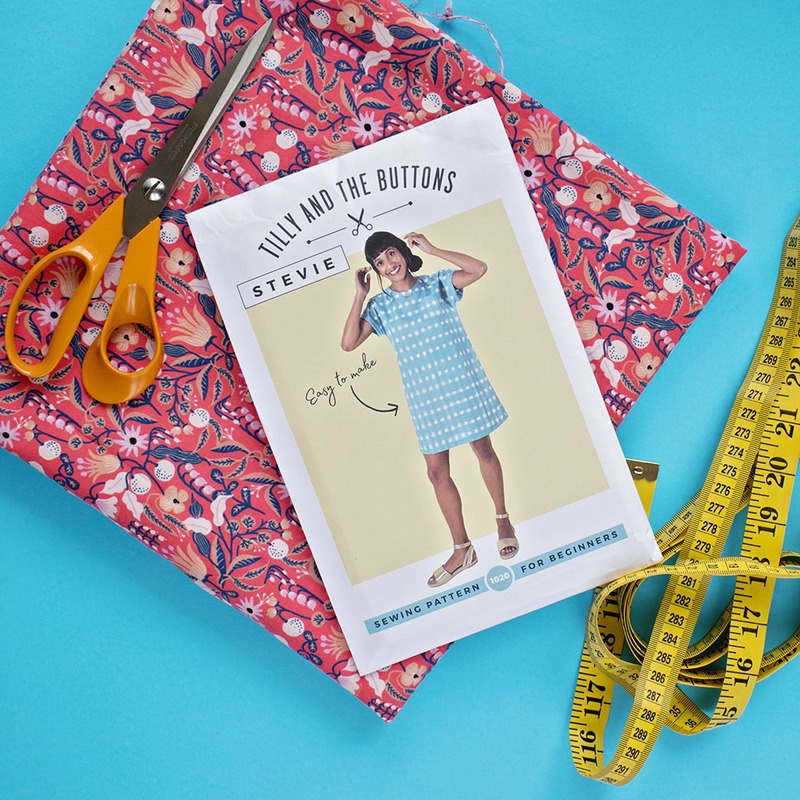 Having already made the Seren dress, I also wanted to try out the other new release from Tilly and the Buttons – the Stevie. I wasn’t as immediately taken with this one as I am not that much of a fan of boxy silhouettes on me – being petite, I think it is easy to get drowned by them. 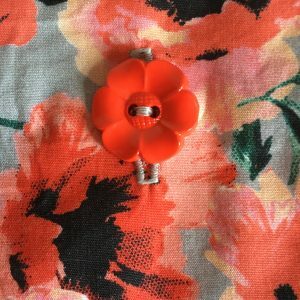 I had seen lots of lovely versions on Instagram though and when this lovely Poppy Array cotton poplin came in to the shop, I knew it would be the perfect fabric. It is structured enough to hold it’s shape but still has some movement to it. I have never regretted putting pockets into a dress but I definitely have regretted not adding pockets so I added some side seam pockets to my Stevie. 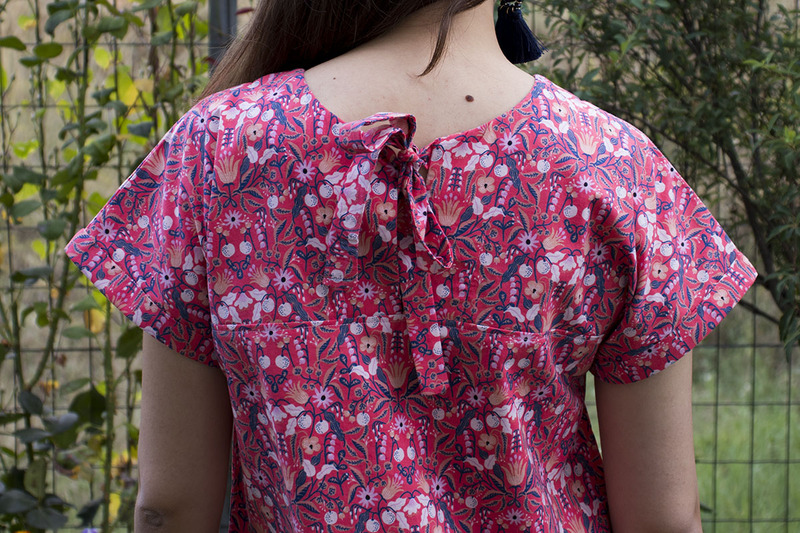 To do this, I used the pocket pattern piece from the Myosotis dress as it was the nearest one to hand, and measured down 6cm from the waist notch and marked that as the placement for the top of each pocket piece on the front and back pieces. 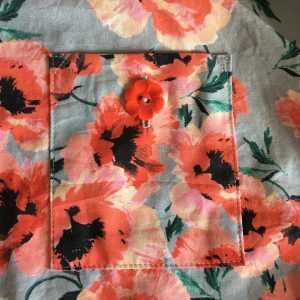 I also added the top pocket as I wanted to add one of these gorgeous flower buttons as is goes so nicely with the fabric. I just created a buttonhole before I attached the pocket to the front of the dress. I decided to add some matching ribbon for the tie as I thought ties in the same fabric might be a bit too stiff. I’m really pleased that I did as I think it gives it a lovely pop of colour. I really love how the facings are topstitched down – this prevents them from flapping about and getting in the way! I also decided to run a line of topstitching around the edges of the cuffs to keep them in place and prevent the overlocking showing. 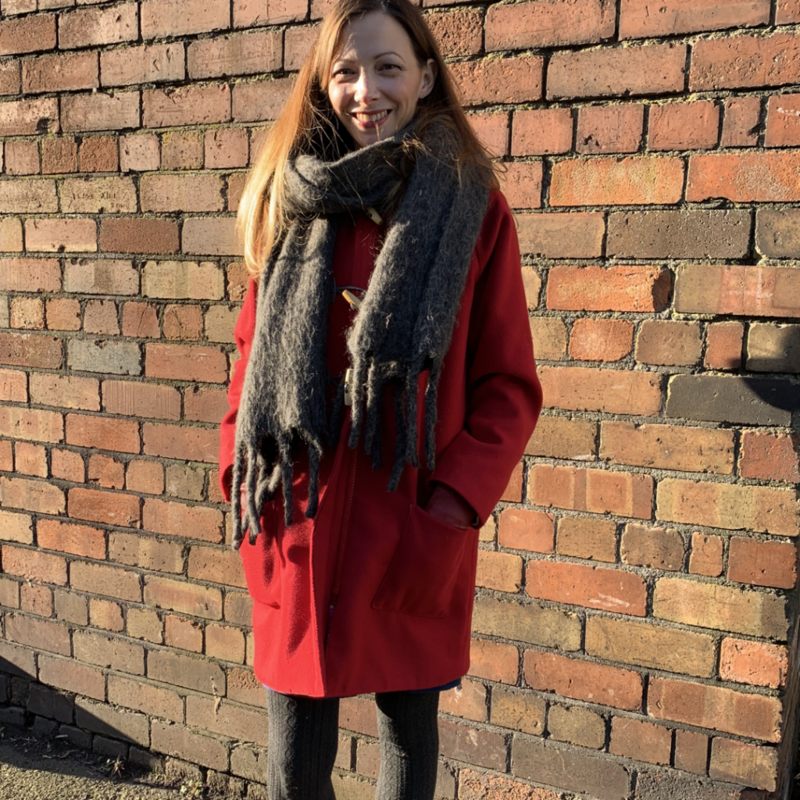 I was worried about it being too short but I think it comes out at just the right length on me – had I not been 5’2, I would have added a couple of inches on to the length. 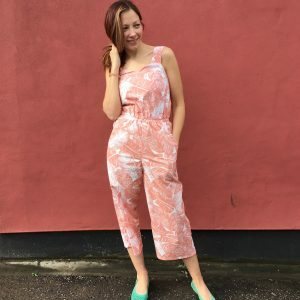 My measurements put me between the size 1 and 2 but I decided to go for the size 2 – I could comfortably make it in the size 1 next time though as there is lots of ease. All in all, it was a pretty quick make – it only took 2 hours to sew up. 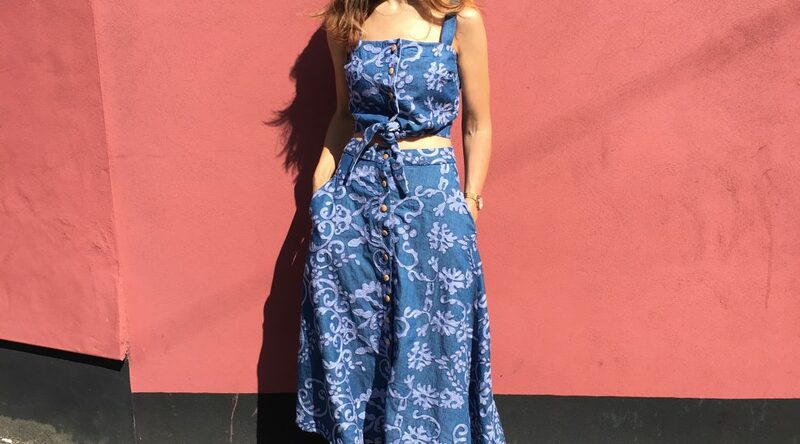 Even though the shape is very loose on me, I think it is great for hot summer days and it can also be synched in with a belt if I feel like it. I love the combination of the simple shape with the print of the fabric and I’m really pleased with my embellishments. 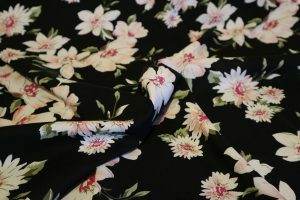 I am actually keen to make a Stevie top in a rayon or maybe this lovely Cupro to see how it looks in a drapier fabric. This week’s LSABlogSquad post comes courtesy of guest blogger, Athina Kakou. 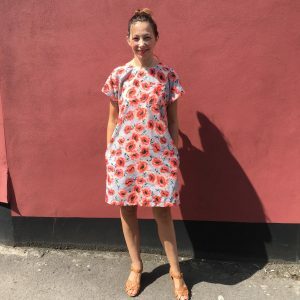 Athina made the new Tilly and the Buttons Stevie dress from our Cotton and Steel Freja Rose cotton and it is simply divine! 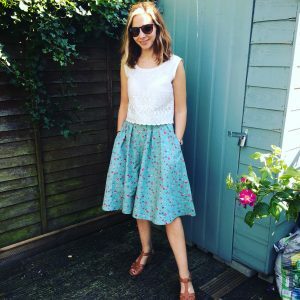 First of all, let me tell you how excited I am to be guest posting at the Like Sew Amazing blog today, among so many other talented sewists! 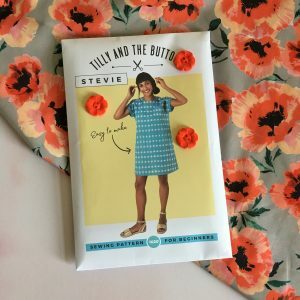 When Tilly and the Buttons released their two summer patterns, Stevie and Seren, I knew I wanted to give them both a try. I won’t lie to you, at first I was a bit hesitant about the Stevie dress, because I wasn’t sure if the boxy style was going to fit me. But as the days went buy and hundreds of versions started popping up online, I really fell in love with it and decided it was time to make one for myself. 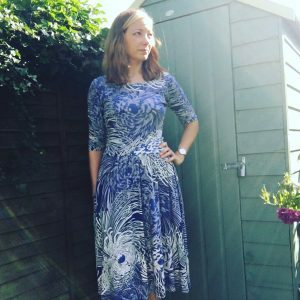 So, today I’m here to review my first Stevie dress by Tilly and the Buttons. Choosing a fabric for my Stevie was the most difficult part of the entire process. 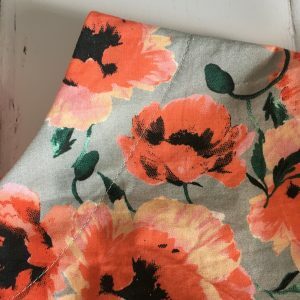 I wanted to get something from the Like Sew Amazing fabric shop, but Sarah has so many amazing fabrics in stock and such an eye for designs and prints that it took me 3 days to decide which one I was going to use for my Stevie. 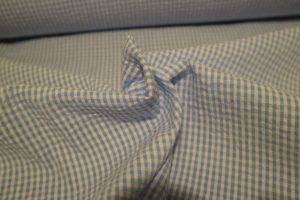 In the end, I went with this stunning Cotton and Steel cotton. The minute it arrived on my doorstep and I opened the parcel I realized I had made the best choice. 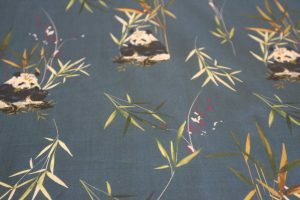 Not only is its quality beautiful, as you would expect from a Cotton and Steel fabric, but the print was exactly what I was looking for. Not too big, with the colours I love wearing and fitting perfectly to the whole “Pink Collection” makes that I’m working on this summer. After sewing up so many pink and fuchsia garments, I wanted something that would still have a nod to my favorite colour, but would incorporate another shade as well. Truth is, I don’ usually wear coral, but I LOVE it on this dress. 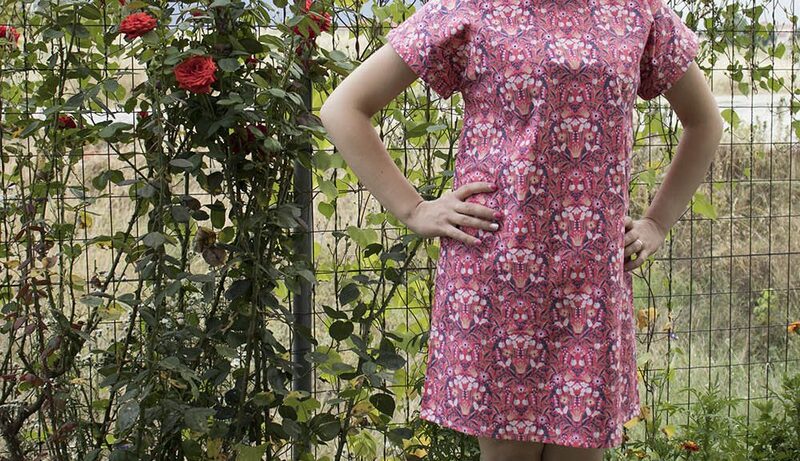 Regarding the construction, the Stevie dress is the perfect beginner pattern. It has no closures, no darts, no set-in sleeves, so you can essentially whip it up in a few hours. 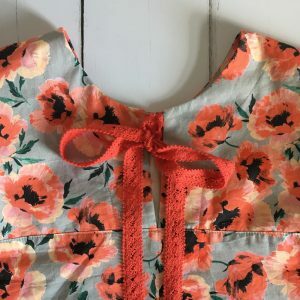 I adore the details on this garment, like the pretty bow in the back yoke (which you can omit if you don’t like it) and the cuffs on the sleeves. Tilly’s instructions are as always great and easy-to-follow! The only tricky part in this garment – which isn’t particularly hard, it just requires some precision – is the topstitching of the facing. If you feel tempted to omit this step, I’d tell you not to, because this tiny little detail really adds something to this simple design and you will not regret it in the end. 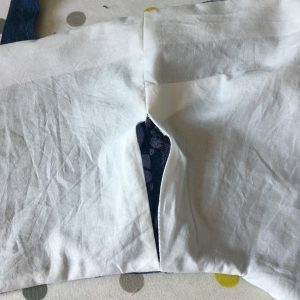 Just go slowly, take your time and use a matching thread (or a busy print) to prevent wonky stitching lines from showing too much on the outside. As for the size and the overall fit, I recently lost a few pounds and for the first time in Tilly’s patterns I made a size 3. Because I trust Tilly’s drafting so much, I decided to cut straight into my pretty fabric and not make a toile. The dress fits me like a glove and I didn’t have to make any alterations. Although I was concerned that it might not be flattering because of its boxy shape, turns out I really like this style on me! 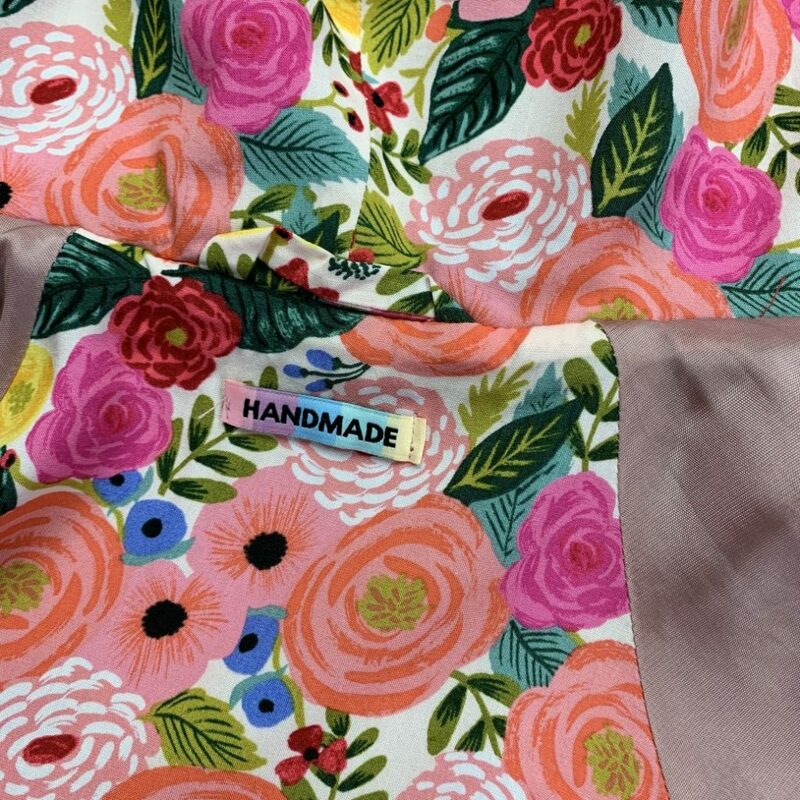 I have already worn my Stevie twice and it was perfect for the heatwave that we are currently having and I already have my eyes on this fabric to make another one before the summer ends. 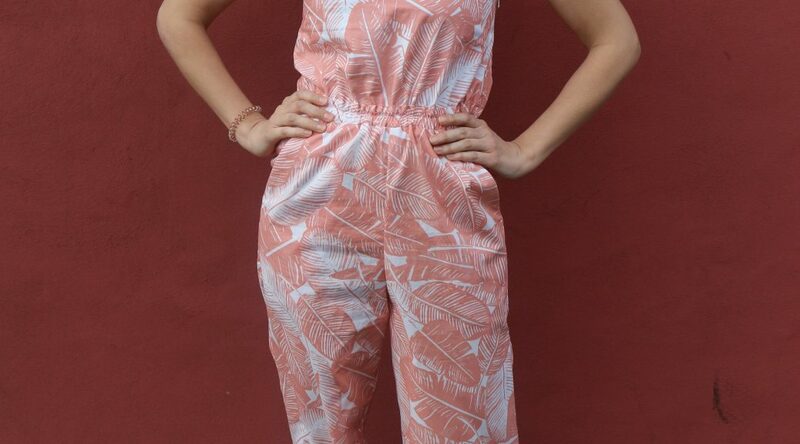 Overall, I definitely recommend this pattern! 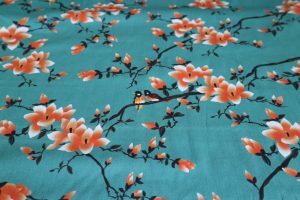 It’s easy to sew, requires minimum fitting and would be the perfect garment to begin your dressmaking journey with. I hope you found my review useful and that you like my Stevie! 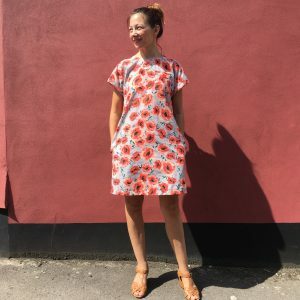 With two new Tilly and the Buttons patterns released this month, we are spoilt for choice but I decided to start with the Seren dress as I haven’t sewn a lovely summery dress in a while. 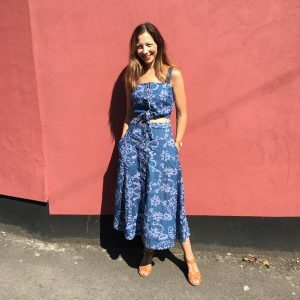 I was a bit torn between the tie front and plain front but I decided to go with something a bit different altogether – separates! When I first saw the Ariana embroidered chambray, I had a vision of it being made into a cool midi length button up skirt, worn with tan coloured clogs. I decided to make that vision a reality by hacking the Seren into the midi skirt I had in my mind, with a matching tie front top! I made some other crucial changes too. Firstly, I added the all important side seam pockets. I just would have felt weird not having them there and they are super easy to add in. Secondly, I lined the bodice using white cotton lawn, rather than using the facings. 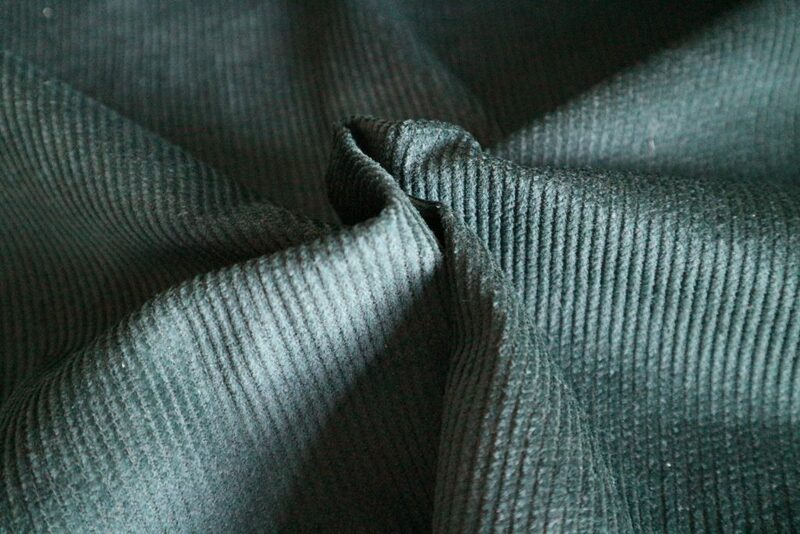 I prefer the clean finish of a lined garment, and there is no faffing about with keeping the facings down. I also thought the flash of white on the tie front would be a cute detail. To make the lined bodice, I simply omitted the facings and cut another set of back and front pieces out of my lining fabric. I did interface them using the facing pieces as a template, just so that the button holes would be easier. I left a gap in one of the lining side seams to enable me to turn it all through and then I sewed the perimeter of the bodice together (RST). 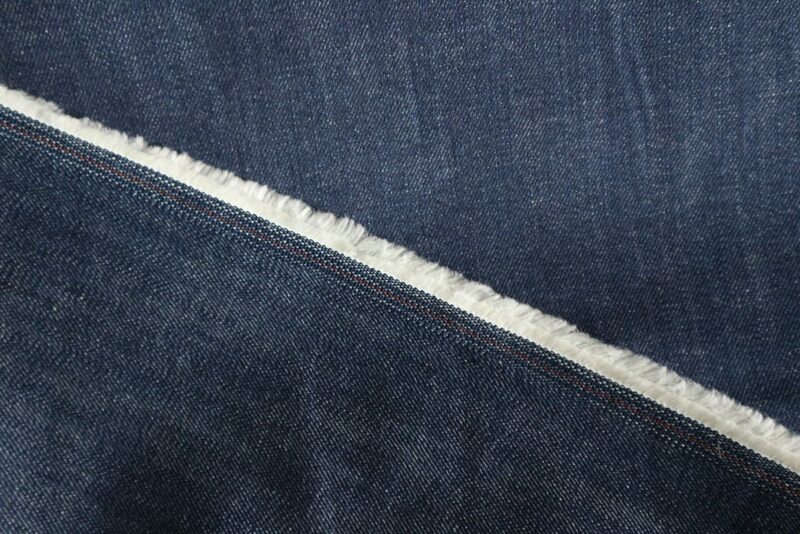 After trimming the seams, I then pulled it through and hand stitched the side seam gap using a ladder stitch. Easy peasy! The skirt was a little trickier, as after I had sewn the front button stand facing on and understitched them, and sewn the side seams to the back skirt, I tried it on and it was way too big. It would have been a lot of work to unpick either of the seams and the fabric I used was not the easiest to unpick, due the embroidery. My solution was to fold the button stand back on itself on both sides and topstitch in place. This gave it a cleaner finish but did add a lot of bulk which made sewing the buttonholes slightly challenging. I then attached the waistband and just sewed it to meet the new front end pieces. There are 15 buttonholes on the midi length version of the Seren. And that is a lot of buttonholes when you are having to fight with the machine on every one! It is also a lot of buttons to sew on, but I sat in the sunshine doing that so it wasn’t too onerous. 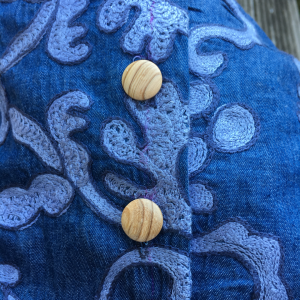 I was thinking about using copper jeans buttons but in the end I found some cute wooden ones which will match my shoes perfectly! I am really pleased with the look of the outfit together. And I have great options to wear them as separates and combine multiple looks. The instructions, as always, are really easy to follow. Obviously I went off piste for a lot of the steps but if you are making the dress as normal, it should be a breeze! 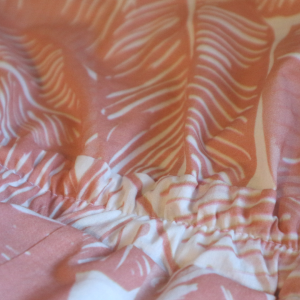 I would really like to make the ruffle front version of the dress in a cool floaty rayon next. 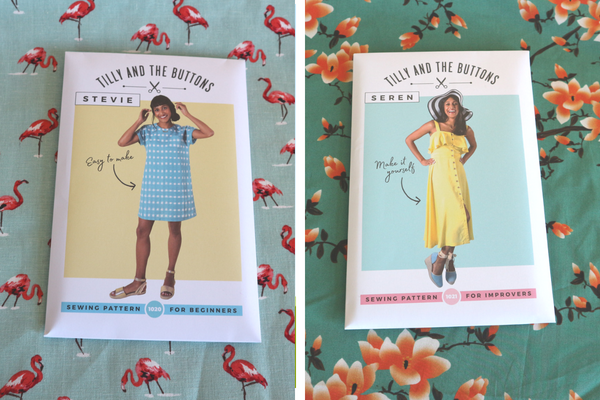 Unless you’ve had your head under a rock over the last few weeks, you can’t have failed to see the images of the newest Tilly and the Buttons’ pattern releases. Stevie is an easy-to-make, easy-to-wear top or dress you’ll want to throw on every day. It has a modern, boxy fit, closing at the back with either a button loop or pretty ties. 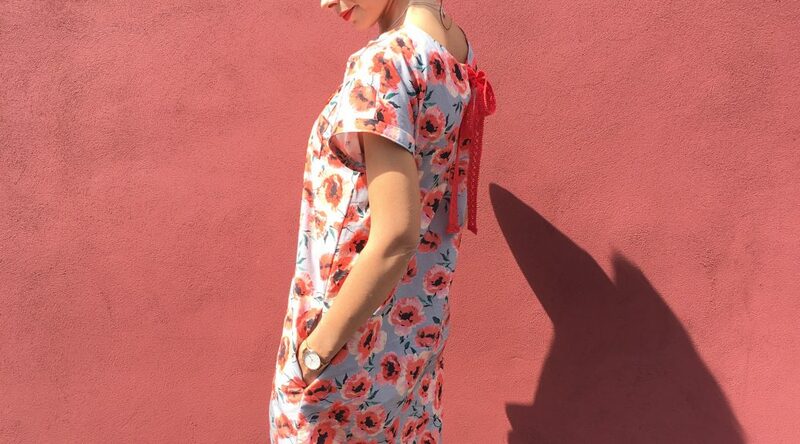 Seren is a flirty button down dress that will be your go-to this summer. Take your pick from a tie-front bodice, on-trend neckline flounce or classic version, with knee-length or midi-length hem. I’ve put together my fabric picks for both patterns and have 10% off all of these fabrics and both the Seren and Stevie patterns with the code TILLYNEW. 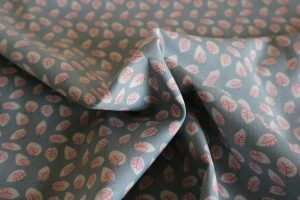 The code is valid for all fabrics shown and the paper patterns until midnight GMT on Sunday 8th July, while stocks last. As there are no darts, the Stevie tunic will let you show off a really bold print without interruptions. 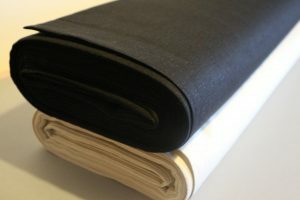 Or go for a classic plain option with our Black or beige linen/rayon mix. I can’t wait to make these patterns and am busy trying to decide which fabric to go for first! I can’t wait to see everyone’s versions popping up all over Instagram! 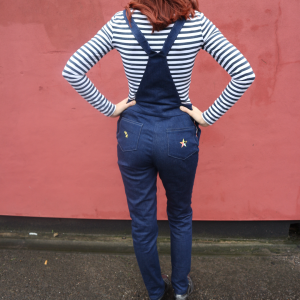 Who hasn’t been waiting for the perfect dungarees pattern to be released?! Well Mila is finally here to save the day! 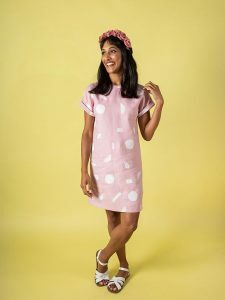 I bought the pattern as soon as it was released from the gorgeous Harriet from Sew Me Sunshine and it queue jumped everything else on my list meaning I got started on it as soon as I had some free time this weekend. 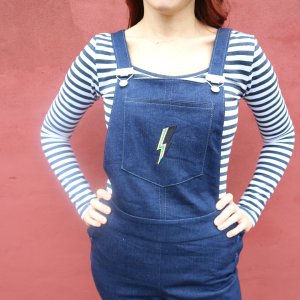 I had a 1.4 metre bolt end of indigo stretch denim from Fabric Godmother that I thought would be perfect for these dungarees. I had to do some very precise pattern tetris to get it to work, but my determination paid off! 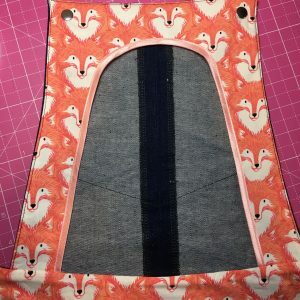 I also used this amazing Cotton and Steel Magic Forest Foxes fabric from Sew Me Sunshine for the inside front facing, back bib, inner waistbands and the back button tabs. I don’t even mind that you can see a bit of it peaking out from the button tabs as it is just so adorable! I finished the raw edge of the front facing with some lovely satin bias tape. I know, only I will see this detail, but it will make me smile every time I put them on! 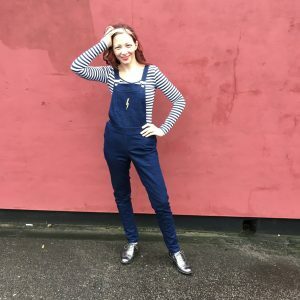 I was initially worried that the dungarees would sit right on my hips and not be the most flattering shape, but actually they come up quite high waisted on me and the fit is really good. I usually make a size 2 in Tilly’s patterns, but actually sized down to the 1 for the Mila, based on the finished measurements. 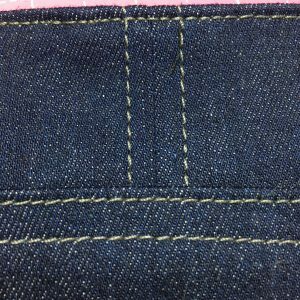 I top stitched using a lovely dark grey gutterman extra strength thread and it goes really well with the denim. I took an inch off of the hems before I turned them up and they hit the perfect spot on my ankle, with the ability to turn them up for the summer months. I also added some cute embellishments to the pockets. I got these lovely patches from Liberty on my last visit, which had been waiting for the perfect project. 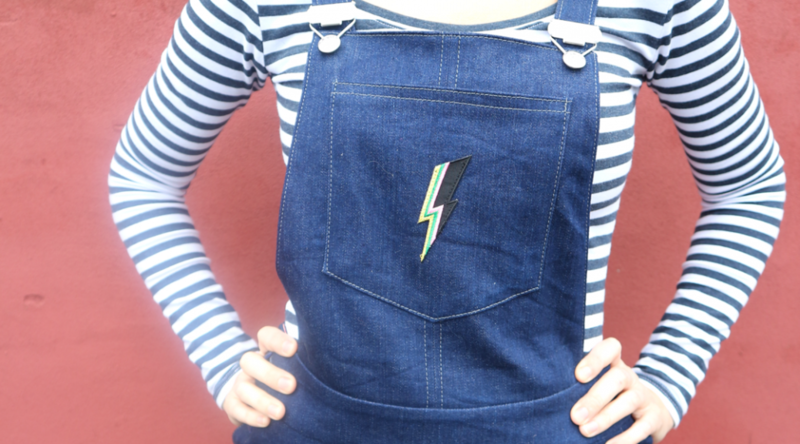 I especially love this lightning bolt on the front, which is very David Bowie! 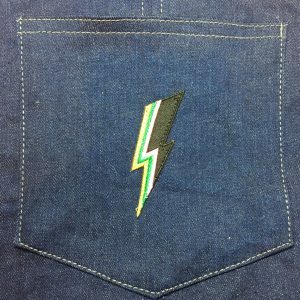 I completely agree with Emily from Self Assembly Required about feeling as if they are missing side pockets. When I put them on, my first instinct was to put my hands in my pockets. I might see what I can do to hack the pattern to add pockets for my next pair! 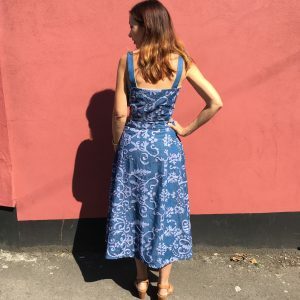 If the Cleo dungaree dress was your introduction to dressmaking, then this will really develop your sewing skills. Nothing in the pattern is particularly difficult, and once again, Tilly’s instructions are super clear and helpful. I can also confirm that, thanks to the stretch in the denim, they are super comfy to wear! That’s the last full week of Me Made May – only a few more days to go! 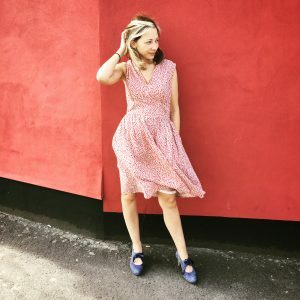 The sun was out in full force so I finally got to wear one of my favourite me made summer dresses – the Rosie dress that was free last summer with Simply Sewing Magazine. 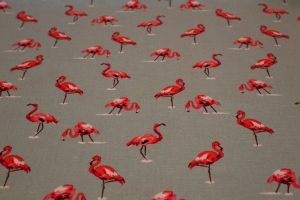 I bought this gorgeous fabric from John Lewis – I still have some left so need to think of something else to make from it. 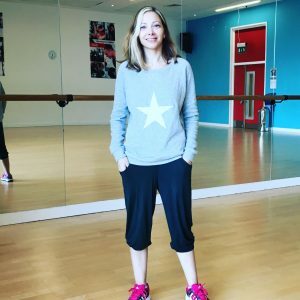 I also wore my me made yoga pants and Star Linden top to my dance fit class in the evening. I had woken up to the news of the awful terror attack in Manchester this morning so I felt very strange and frivolous posting a picture this day. 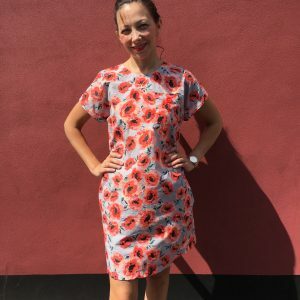 I wore one of my Colette Patterns Moneta dresses in this lovely jersey from Sew Over It. I wore my kitty hearts blouse with contrast lace yoke – the pattern is the 6107 by New Look patterns and I bought the fabric from Miss Matatabi fabrics. 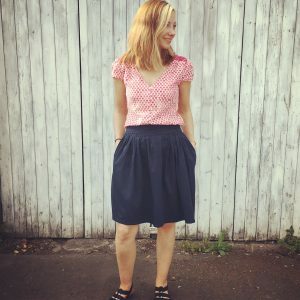 I paired the blouse with my Tilly and the Buttons Clemence skirt, which is made from a navy stretch cotton. Today I wore my other favourite Colette Patterns Zinnia skirt in this lovely Russian Dolls fabric. I wore it with a self drafted cropped top made from an ivory broderie anglaise. 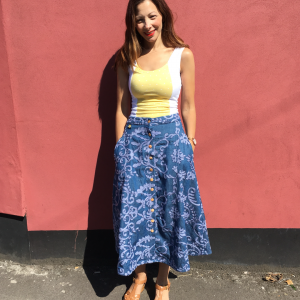 This skirt height is perfect with this top so that I don’t actually flash my tummy! Today was also a really happy day as I managed to get tickets to the Sewing Weekender, which is an event at the start of August run by The Fold Line and English Girl at Home. There were only 50 tickets up for grabs and I just happened to check on them before I left for work and got lucky. I can’t wait for a lovely weekend away in Cambridge meeting lots of new sewing friends. 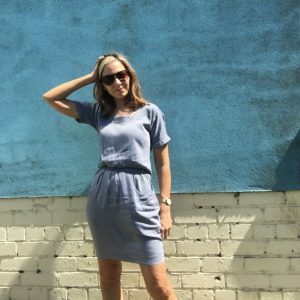 The sun was still out in full force so I wore my other Tilly and the Buttons Bettine dress in this beautifully soft chambray from John Lewis. 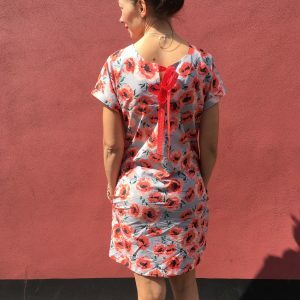 It’s the perfect dress to throw on in the summertime and I definitely plan to make another soon. I was head to toe in Sew Over It today! 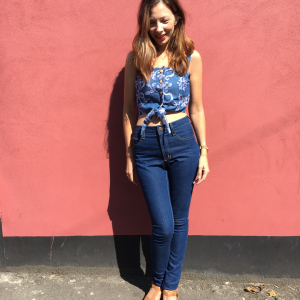 I wore my denim Erin skirt from the City Break capsule wardrobe, paired with one of my Silk Cami tops in a lovely Liberty lawn. I did change into another me made outfit in the evening as I went out to my other half’s EP launch gig but there was no time to take pictures! I wore some ginger jeans and a cross back top. I had a lot of sewing to do today so I did spend the majority of the day in me made pjs but I did get changed for a trip to the shops! I wore my latest Tilly and the Buttons Agnes top in the light blue loop back jersey from Guthrie Ghani. You may notice that I already have this top in the navy and that is because I love it!! I wore it with my Kommatia patterns denim braces skirt, which I was a recent pattern tester for. All in all, this week was very blue themed, with a couple of exceptions. I’ll try to branch out colour-wise for the last few days!